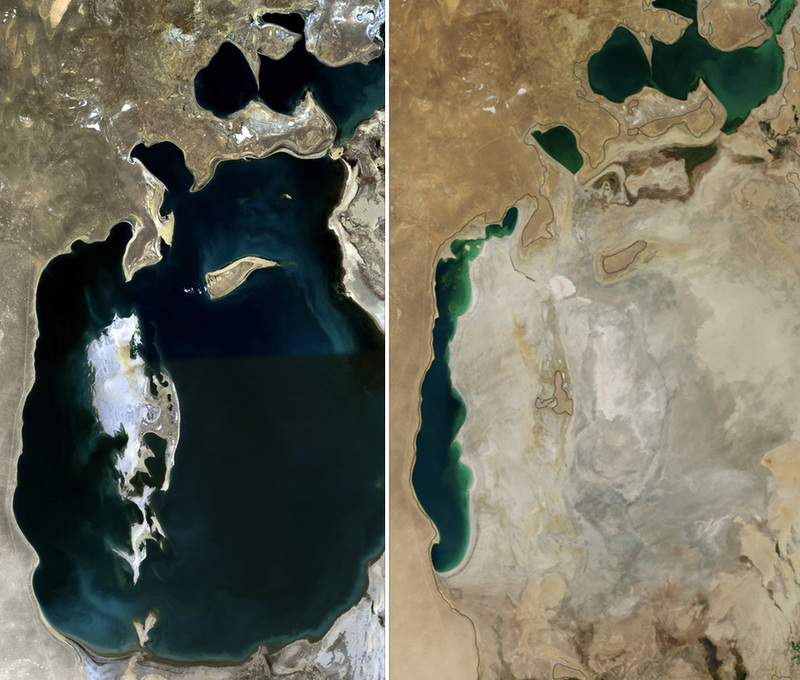 "Reclaiming the Aral Sea" tells about how the 4th biggest lake in the entire world was reduced to 3 inhabitable lakes. The cause of its demise was the wasteful irrigation that cut the flow of the rivers into the sea. Because of the lack of river flow, the sea was reduced to 3 little lakes that were too salty for any organisms to live in. Shore towns that depended on the fish collapsed. All of the exposed ground allowed the wind to blow around dirt, salt, and toxins. The northern part of the sea managed to recover thanks to a dam built in 2005, but the 2 southern lakes are still in danger of disappearing forever unless the Amu Lake is re-engineered. Not only is the Aral Sea in trouble, but Lakes in Africa and Southern California are suffering the same fate. 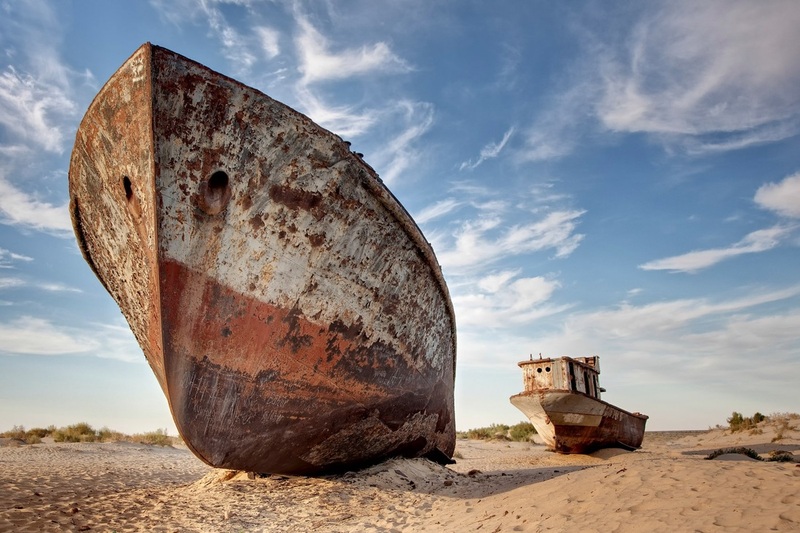 Knowledge of the Aral Sea's near disappearance could in turn save other lakes that are in danger. I have never heard of any sea disappearing because of wasteful irrigation. As time progresses, environmental degradation is becoming more and more prevalent. Hearing about the dam built in 2005 is reassuring that while we make great mistakes, we can fix what we have damaged....most of the time. We need to get the word out about the Aral Sea to educate people so they don't lose their bodies of water permanently. I look forward to new efforts to save the southern lakes and restore the Aral Sea to its former glory.